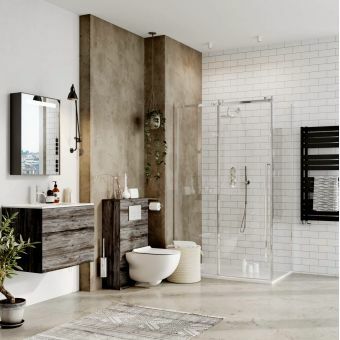 Bathroom trendsetters Crosswater have embraced the latest designer influences by producing a wall hung suite that is aesthetically appealing as well as being practical. 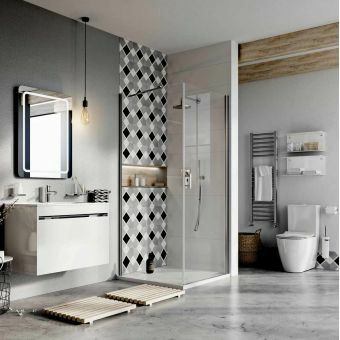 Based around the Zion Petite wall hung vanity unit, the high gloss white finish is guaranteed to blend in and compliment any bathroom decor. At 490mm wide and just 345mm deep, the soft closing drawer with its curved chrome handle is a delight to use and your most used toiletries can be stored neatly out of sight. 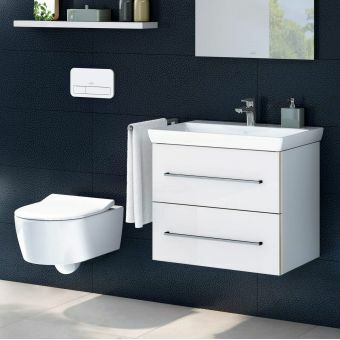 The complimentary basin utilises square geometric forms that take advantage of every inch of space for washing and is made from fine white fireclay, the slim edges add some sophisticated style to your bathroom. 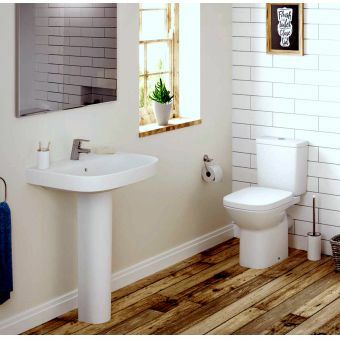 A matching Crosswater Atoll basin mixer sits to one side, further enhancing the overall appeal of this delightful unit. 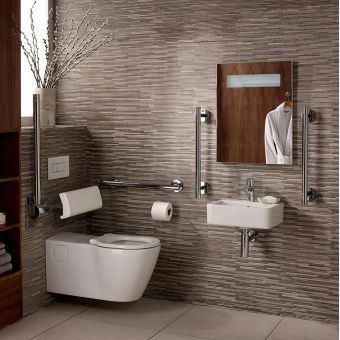 The WC unit has been specifically created to allow for a wall hung toilet so you are up to date with the latest trends. 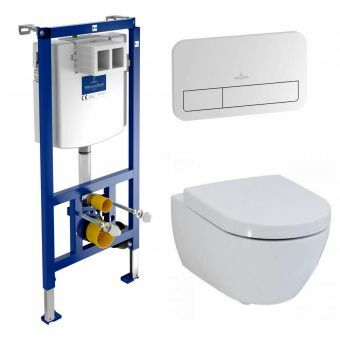 The Pier wall hung toilet features straight steep sides, uncluttered by fixing holes mouldings and with a complimentary soft close seat on top, it remains unsurpassed in choice and quality. 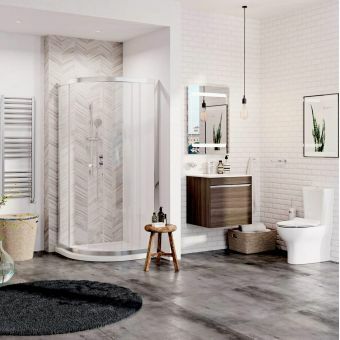 The sparkling chrome dual flush plate from the Pier range is a joy to use and allows access to all services from behind, simple but effective. Finishing touches include the 600 x 400mm Dune LED illuminated mirror which can be hung in a landscape or portrait style to further enhance your own preferences. Utilising a PIR sensor for switching the lighting and demister pad on or off, it incorporates the latest and safest features normally found on more expensive mirrors. 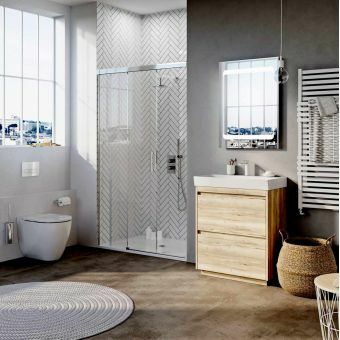 Looks are equally as important as functionality and these accessories from the award-winning MPRO collection offer plenty of scope to hang toilet rolls and towels while remaining unsurpassed in choice and quality.